It is now the end of the semester, and I’ve reached my learning goals! The words in bold indicate specific parts of my outcomes that I met. 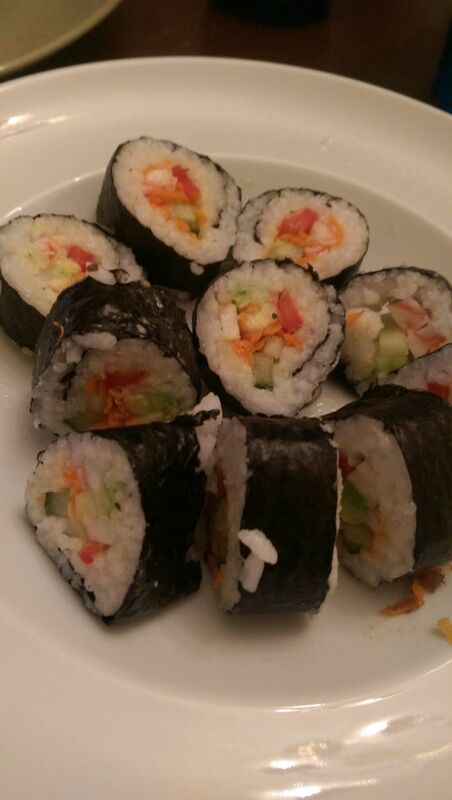 Try cooking different types of food within these countries’ cuisines (China, Japan, North and South Korea and Mongolia). 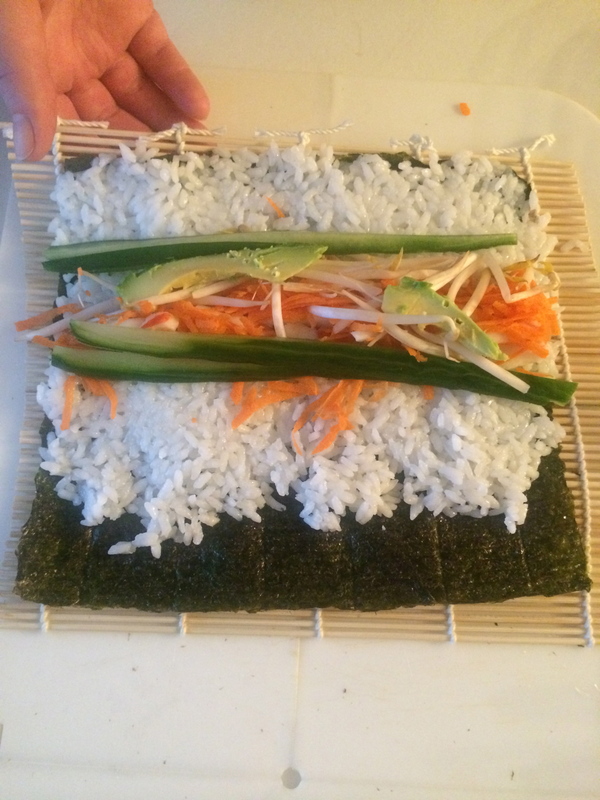 Attempt from each of the following courses: appetizers, sides, soups and salads, entrées and dessert. Dishes: stir-frys, chow mein, chicken balls, ginger beef, egg rolls, spring rolls, and sushi. I intend to make a variety of dishes, both traditional to these East Asian countries, and also as they are served here in North America. 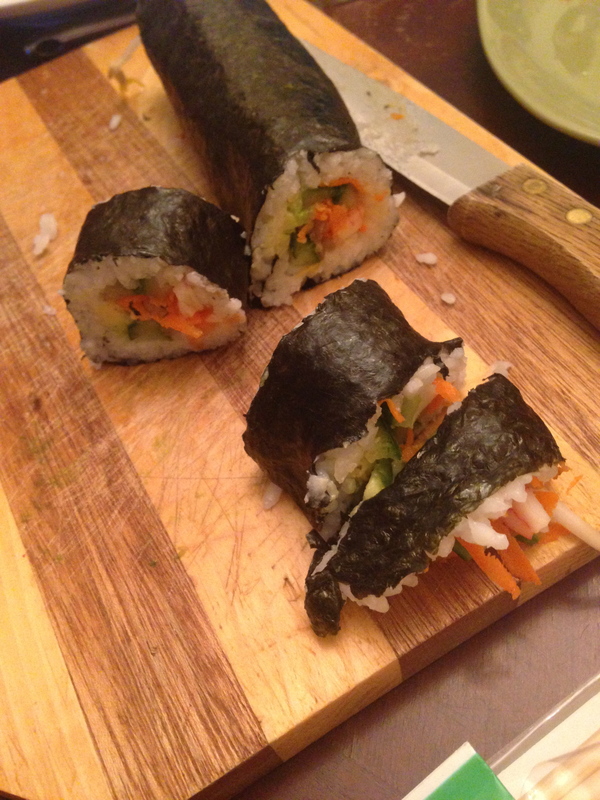 End goal: to feel confident enough in cooking a variety of East Asian items that I can prepare a meal for dinner guests. As you can see, I hit the main idea of my outcomes. However, the direction I took with this project was different than what I had intended, and as such, you will notice a discrepancy where I did not meet every outcome wholly. New dishes caught my eye from online research, such as skimming through Google images or Pinterest, suggestions from friends and my own personal favourites from restaurants. So after ~85 hours, ~$350, 14 dishes, 18 posts, 12,187 words, 122 pictures, 13 videos, and far too many of these to be counted: websites browsed, resources saved, minutes of filming, hours of editing films, dishes to be washed, last minute mad-dashes to the store, bags of groceries, mouths to be fed and containers of food given away, THIS PROJECT IS FINALLY OVER AND I AM ECSTATIC!!! But I’m also kind of sad. You see, it really was a journey full of laughs and memories. Between my roommate, friend Carol, and siblings back home, I had so many people begging me to make this or that, or saying “just feed me already!” I love to cook, and it was such a nice change of pace to say that you had to make dinner as part of your homework! I put a TON of effort into this project, and I would say that I got out exactly what I put into it. I think my supper went over well with my guests. They left full and happy. 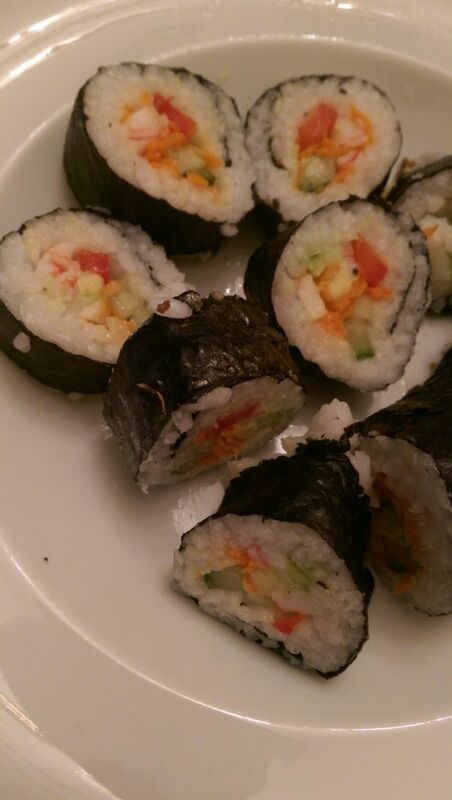 I was actually quite surprised with some of them because they did such a good job with making their own sushi! Minus my roommate who was currently pouring water for our guests, this is a group shot of the “critics”! 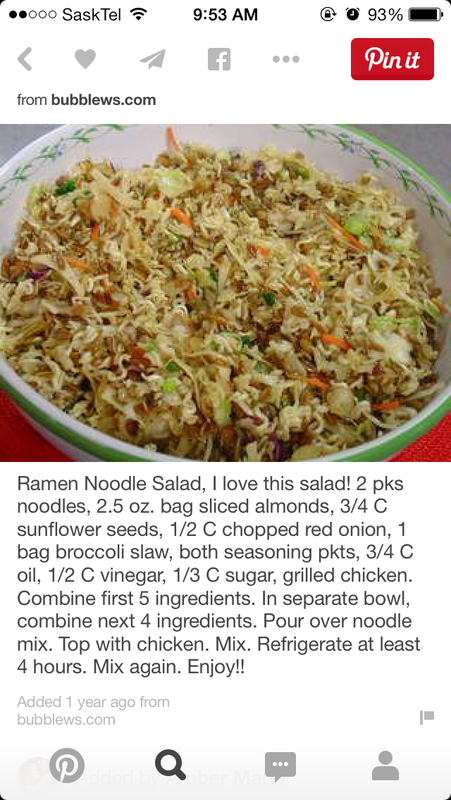 So this is the recipe that I used for my Ramen Noodle Salad. It was super good! I don’t even like raw cabbage most of the time and I thought it was good. The only thing I changed when I made it again later (because who could resist?! Plus, it’s salad so that’s okay haha), was that I added less oil than what it called for. It says to use 3/4 cup of oil, but I found this to be way too much, as it was sitting in the bottom by the end of the bowl. 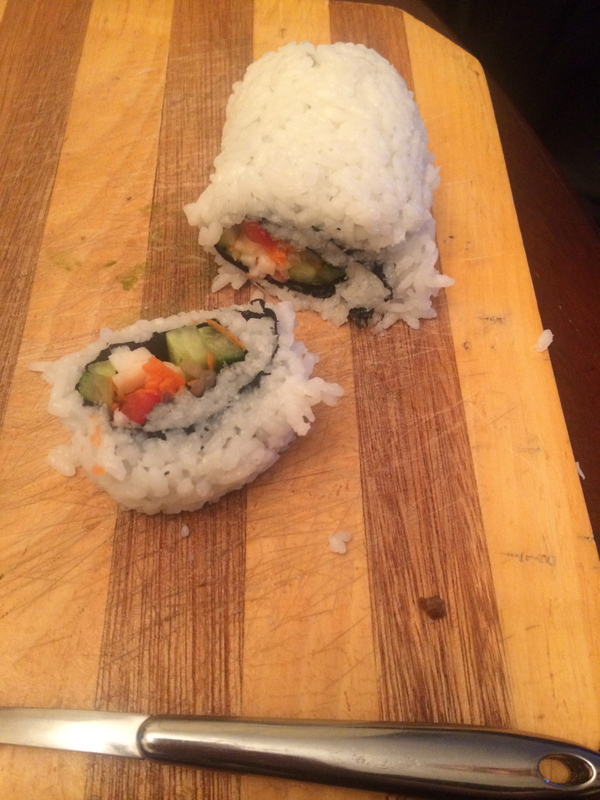 So the second time I made it I used only about 1/2 cup of oil. 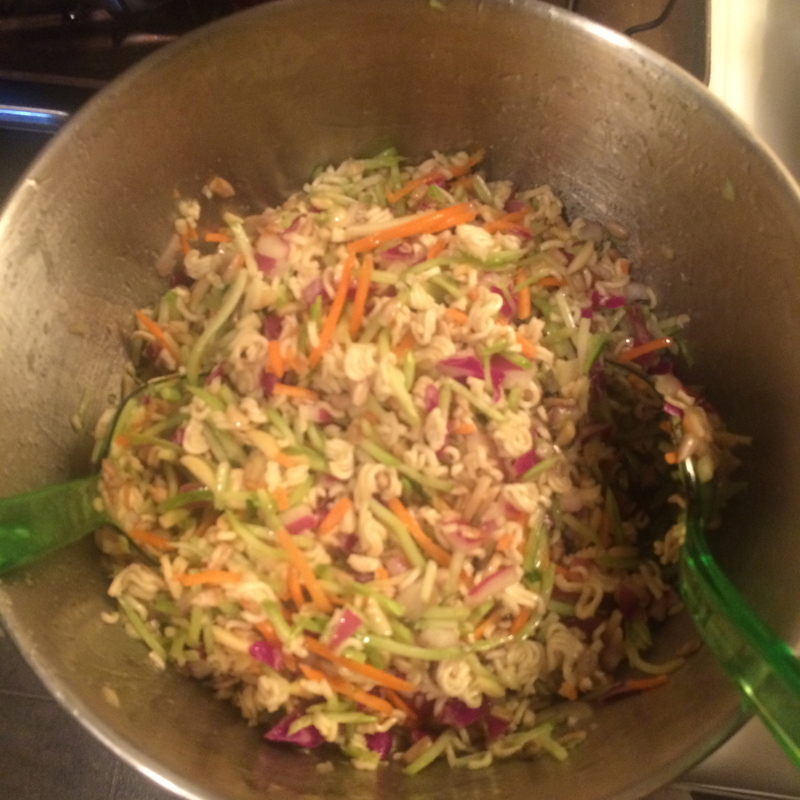 I also used a second bag of broccoli slaw and an extra package of instant noodles. This caused me to wonder if the package of broccoli slaw I bought was quite a bit smaller than the one Pinterest used. 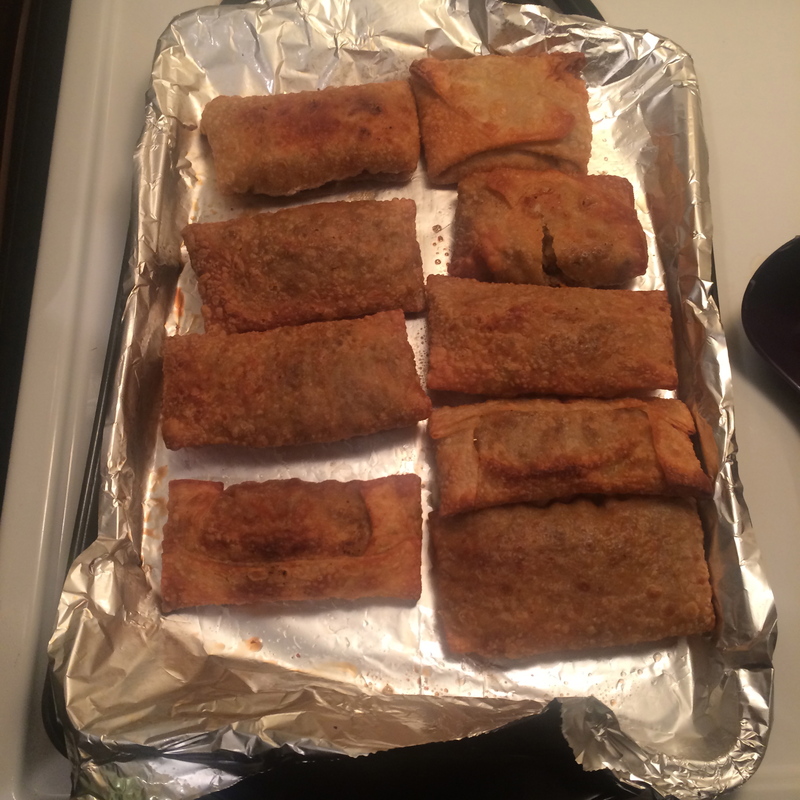 These are my Egg Rolls! I was worried they might have gotten a little too soft in the oven, but I turned it high enough that they stayed crispy. 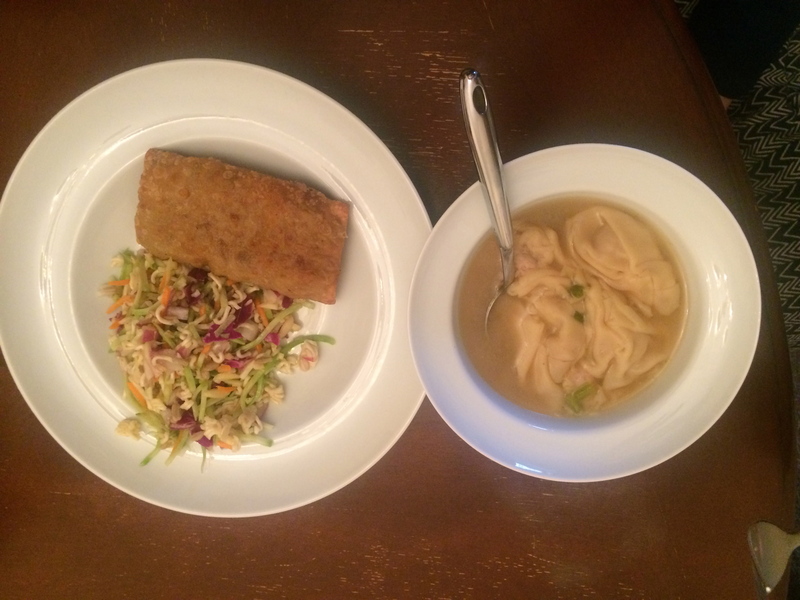 My Wonton Soup didn’t hold up as good as I had hoped. 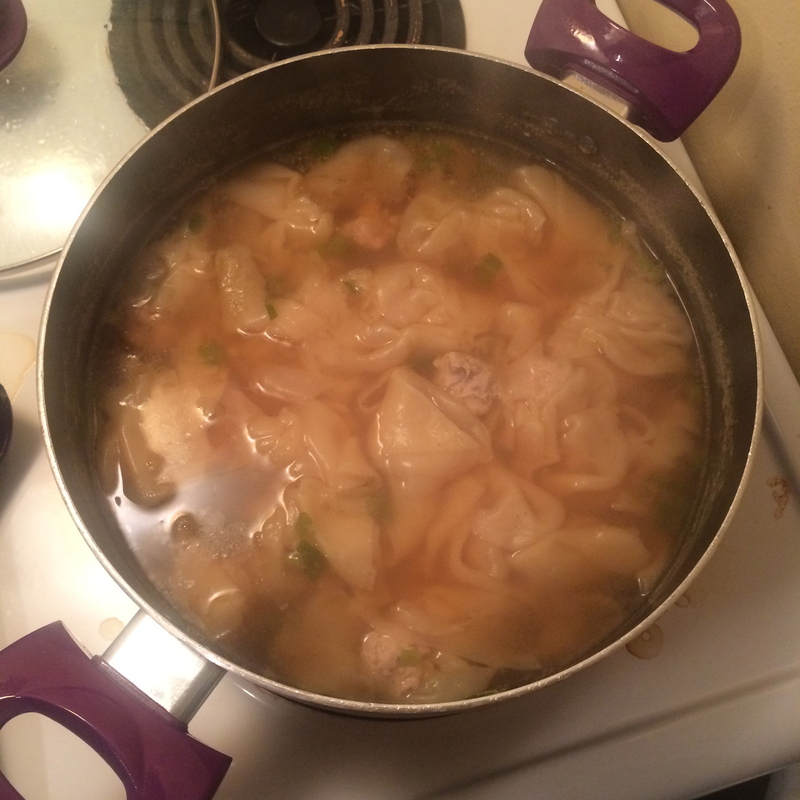 A lot of the wontons popped open from stirring it while it reheated. It sure wasn’t as good as it was the day before fresh! This is what the “first course” looked like. I served it all at one for the sake of connivence. Plus let’s be real here, I didn’t want to do any more dishes than necessary! (Although these two gentlemen and my roommate kindly took charge of the dishes! 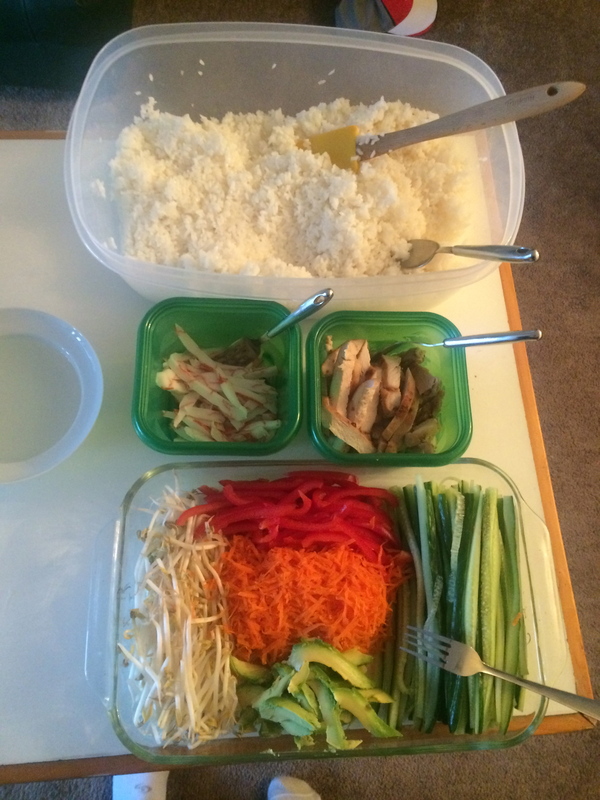 I was really grateful since I had already done a sink-full from prepping! 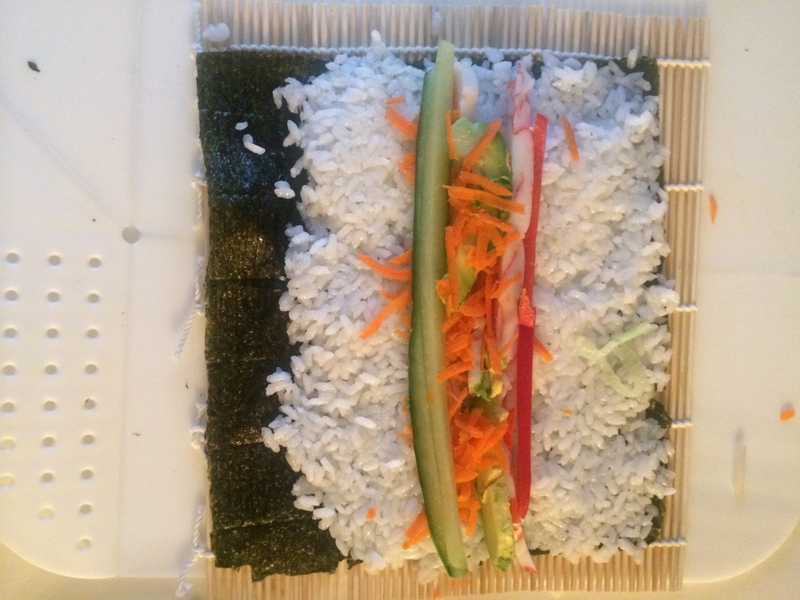 The following are snapshots of sushi made by my “students.” Just don’t ask me who made which ones, because there’s no way I can be certain now! That’s right, I got Fortune Cookies for dessert! I know it’s not as big in Asia, but since they are always served with “American Chinese” I had to get some. Well that’s it folks. So for the last time, please check out my video below! 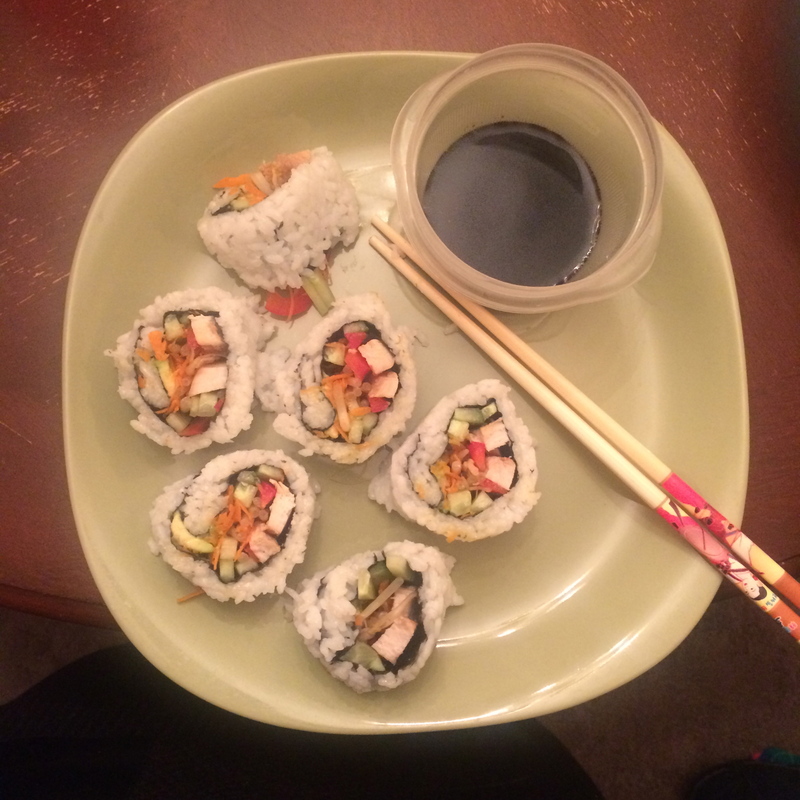 This entry was posted in ECMP 355: Computers in Education, Online Learning, Uncategorized and tagged #ecmp355, Asian Cuisine, Cooking, East Asia, Egg Rolls, Food, Learning Project, Online Learning, Ramen Salad, Sushi, Wonton Soup. Bookmark the permalink.